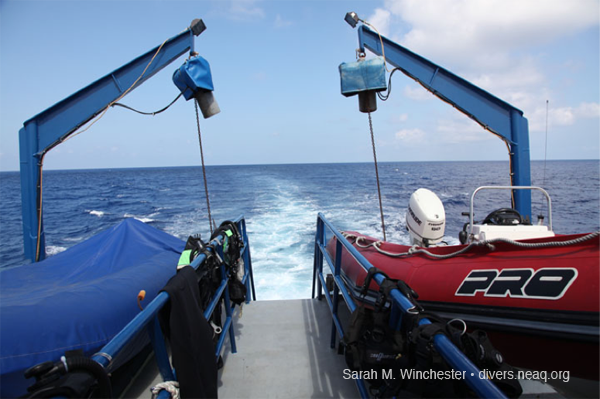 Posts from the Sea TURTLE teen diving program will continue, but at the same time New England Aquarium staff and volunteers are on their regular spring expedition to the Bahamas. This is that team's tenth post, written by guest blogger and volunteer Sarah M. Winchester. Our collecting expedition has come to a close, and as I sit at my computer downloading my 500+ photos and avoiding my stinky bag of laundry, I am reveling in the post trip haze of exhaustion, exhilaration and nostalgia. My husband and I were asked to volunteer for the 2011 Bahamas expedition, back in November 2010 and have been waiting in eager anticipation for this adventure like a 6-year-old Christmas Eve. Let me tell you, the trip was everything and more. It was the adventure of a lifetime or perhaps now an annual adventure, as we had such an amazing time. 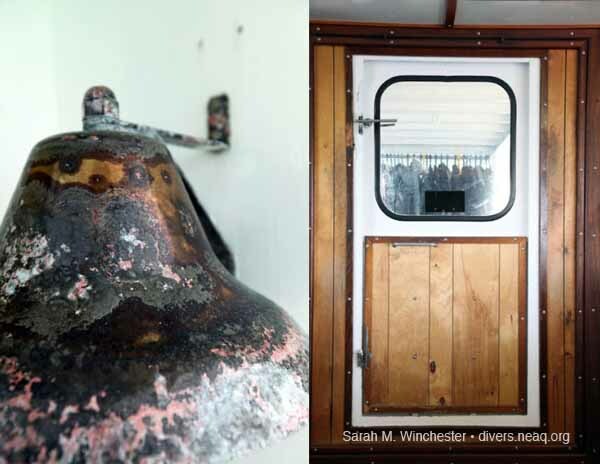 To help give you blog readers a little peek into our 10-day adventure, I wanted to share with you a little photo journal of what life out to sea on a New England Aquarium trip is like. 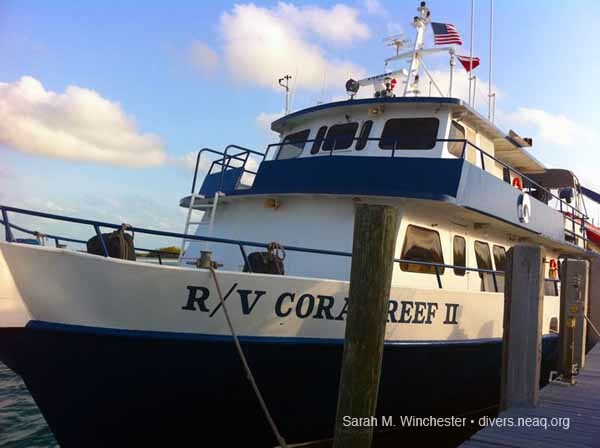 The Coral Reef II research vessel was our home, work place and transportation for the week at sea. While the quarters could feel a little tight, she served us well. The Coal Reef II – She was yar alright. 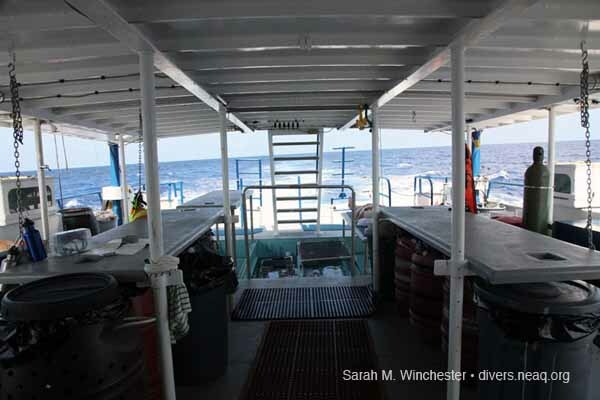 The deck – where we prepped for dives, housed the fish we collected, and relaxed between dives. 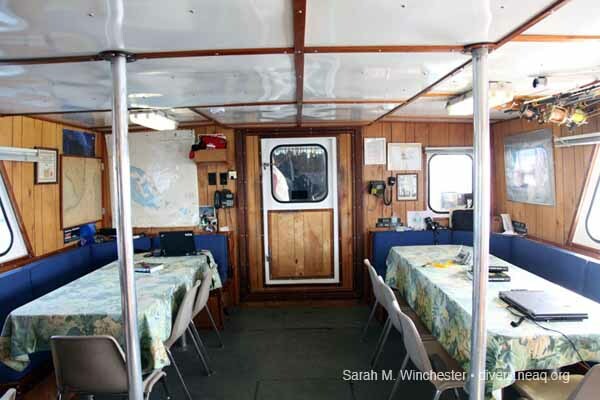 The Salon – where we ate, relaxed and studied our fish identifications. 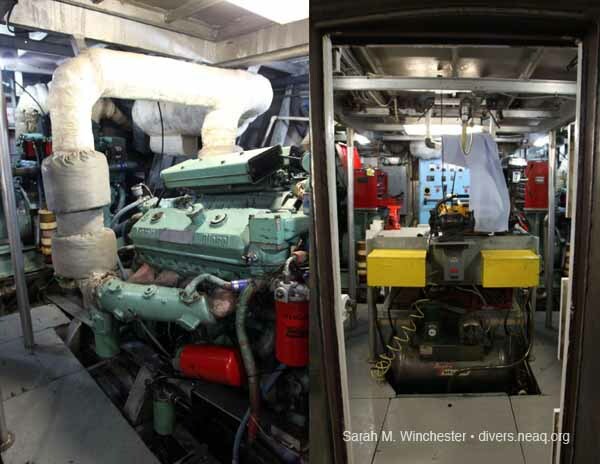 The engine room – loud and hot, this room powered us through some high seas. 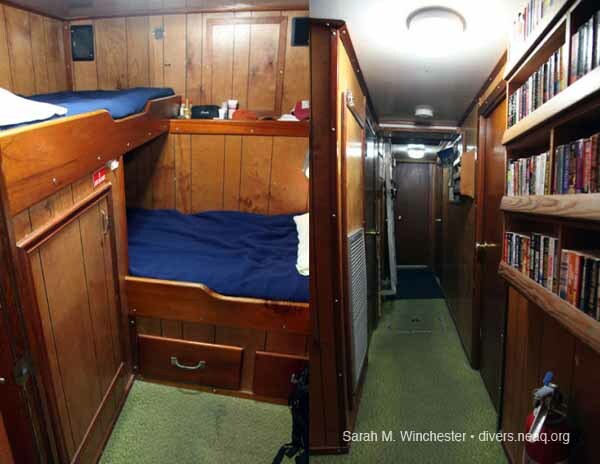 Below deck – After a long day of diving I slept like a baby in these little bunks. Up next: day-by-day account of our adventure. That sounds like so much fun, I wish I could do that! Live Report from the Bahamas: Just Do It. Live Report from the Bahamas: FINALLY! Live Report from the Bahamas: CERTIFIED! Why do jellies not sting themselves?